This entry was posted in Agriculture, Barnard College, Green living, Sustainable development on October 14, 2011 by Claire Mathieson. Can we reduce waste and foster growth by taking steps to change the way urbanites treat their food scraps? In my Alameda, California home, composting is as easy as rolling the large yard waste container that sits in our backyard out to the curb every week along with our garbage and recycling. Sorting banana peels and napkins from recyclable yogurt containers and landfill-doomed Mylar packaging has become second nature to me, but now that I’ve started cooking in my dorm, I have been forced to confront a lurking dilemma: Barnard College – New York City, in fact – has no such program. Sure, you can set up your own worm bin or deliver food scraps to composting centers around the city, but nothing here rivals the scope and convenience of the program I grew up with. Many city dwellers don’t care where their waste goes as long as it goes away but are aware that things like paper and aluminum cans can be recycled. Few realize, though, that food scraps can also be reused by being fed back into a recycling system older than humanity. Life operates in a natural circle and requires a number of elements. Most think of water and sunlight when it comes to sustaining plant life; it is easy to forget that – like us – the flowers and forests of the world cannot grow without nutrients. Most important are the primary macronutrients nitrogen, phosphorous, and potassium, followed by the secondary macronutrients calcium, magnesium, and sulfur. In addition, plants need myriad micronutrients, such as copper, iron, and, manganese. They draw these nutrients from soil, a mixture of mineral particles, organic matter, air, and water that blankets Earth’s crust. As consumers – organisms that obtain energy by eating other organisms – we rely on plants as a major source of sustenance. We can benefit from them both directly – by polishing off a salad on our lunch break – and indirectly – by devouring a hamburger made from a cow that ate the greens. Either way, we end up ingesting some of the nutrients the plant absorbed from the soil. New York City consumes plenty of these nutrients but – without a large-scale composting program – returns very few. Barnard College, in essence a small city within the city, has the power to act as a model but so far only has a relatively ineffective composting program in place. 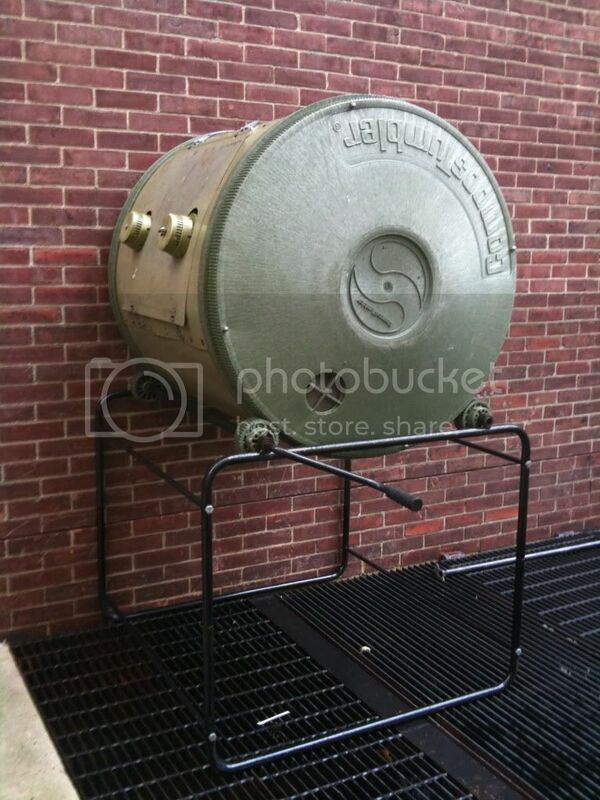 This program comprises an instrument known as a BioX, which allows for a small amount of organic material (food scraps from the Hewitt dining hall) to be broken down on-campus. However – according to Professor Peter Bower, head of the Waste Management class – the only benefit of this system is that it removes mass from the waste stream. I was surprised to hear Professor Bower describe the process, during which “the energy that’s in all the organic bonds [in the food scraps] is broken down and…lost, then the nutrients get put in an oxidized form and sent to the sewage treatment plant.” The small amount of compost that is generated at Barnard, then, has no chance to reclaim its place in the natural cycle. 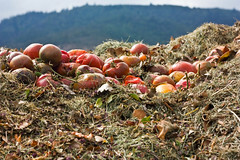 The first step of the process exists – the breakdown of food scraps – but in order to make this composting effort truly worthwhile we must find a way to return nutrients to the soil, whether by connecting with a company that will facilitate that return or by establishing a relationship with a nearby farm. As I investigate how Barnard could enact a comprehensive composting program, I hope to strengthen the bond between bustling city life and flourishing land life, creating a path for our discarded scraps to become new growth that in turn will find its way back to the city to nourish us. This entry was posted in Agriculture, Conservation, Sustainable development, Uncategorized on October 14, 2011 by Keyanna. A few years ago, approximately 74% of American people had a desire to use a more ‘natural approach’ to medicine. As a result, we saw a boom in the herbal market and now currently the US makes 3 billion in herbal product sales. As the want for herbal medicine increased, the need for herbs has also increased- to a point that we cannot supply what we demand. Over harvesting has become a threat to the biodiversity in areas all around the world and has expanded to the point that many plant species on the verge of extinction. Out the 50,000 species used for medicinal purposes, 10,000 are at risk– that’s every one out of ten species that are endangered. This statistic will not be static; it will soon rise higher if we do not come to understand the effects of overharvesting and find sustainable ways to gather our herbs. Yet it must be remembered that the former needs to be done before the latter: that is, we must focus on realizing and understanding the problem first. But who knows and understands our current issue with over harvesting? In an attempt to target my local community, I found myself in the heart of Morningside Heights, Columbia University. Here, I asked many students what their basic knowledge of herbs was. Many knew what herbs were, but the closest some got to using it was their daily vitamin supplements from Vitamin Shoppe. However, many who had adequate knowledge about herbal medicine were usually the ones who are actively using it or it was used by their parents, whom were commonly immigrants from countries such as Ecuador or China or first generation children. Many of the students who do actively use herbal medicine confirm that their parents supply it to them, but they are not sure where the herbal medicine came from or even the idea of it being ‘harvested’. To make matters worse, about 98% of these students claim that close family members that are native to local communities outside of the US that prioritize herbal medicine are unaware of problems of over-harvesting in their villages and in their country. This is a frightening statistic to take, as the bulk of overharvesting happens in parts of Asia, Africa and South America- countries that many of their parents are from. According to World Wide Health Organization (WHO), 80-90% percent of people in developing countries use herbal medicine as their primary source of health. With such a large amount of people using herbal medicine in these countries, how are student’s native parents unconscious of overharvesting? Are the local communities in these countries aware of the effects of overharvesting? Research reveals that many are not aware. One study reveals that 81 % of the individuals from district and national organizations believe that medicinal plants from the Himalayan Mountains are threatened, while 28% of the local people do not. The Schisandra Fruit is found in the Upper Yangze region in China. WWF's sustainable management modeling has helped to save this fruit from being over harvested by local villages. If the local people, who are first handedly affected by overharvesting, do not know of the disastrous effects of overharvesting, then how can we fix the problem? It is important to educate the local people of the effects they have on their environment when they over harvest. Many organizations have been working towards teaching local peoples of the impact of over harvesting and helping them harvest and cultivate herbs sustainably. WWF China has been implementing biodiversity conservation and sustainable management into the villages of the Upper Yangtze region, were 75% of China’s medicinal plants are harvested. But wait- what can us common-city dwellers do about this problem? Ask yourself this (and the company who supplies you your products) every time you walk into Vitamin Shoppe, a small herbal medicine store, and any store that sells organic products: where did the plant material come from? Is it harvested sustainably? This entry was posted in Uncategorized on October 14, 2011 by Dolma Tsechu. Like the two poles, the Tibetan plateau is showing drastic signs of changing climate. The retreat of glaciers, degradation of permafrost, and desertification of grassland is only the beginning of a series of changes that could threaten the livelihoods of millions of people living on the Plateau and billions more throughout Asia… and the world. This post will explore the history behind how the degradation of the grasslands of Tibet has become an environmental and social justice issue. Growing up in the grasslands of Tibet with my nomadic family, my fondest childhood memories always included the springtime new blossoms, summer month–long picnics and gatherings, and cozy wintertime frost. According to Dr. Marc Foggin from Arizona State University, by the 1990s, the total area of degraded grassland was larger than the size of Germany and this destruction ensues to this day. The People’s Republic of China’s government blames the degradation of the grasslands on overgrazing by the nomads, and have responded by fencing off pastures or barring nomads from the land altogether. This only exacerbates the problem; with certain areas fenced off, herds are forced to overgraze the available areas. Traditional Tibetan way of life is also quickly disappearing. For thousands of years, Tibetan nomads have achieved balance with the environment. Keeping large herds as a shelter against bad years, Tibetan nomads seldom slaughter their animals for meat and instead use them for wool, milk, butter, and cheese. Nomads in particular areas balance their herds between yaks, goats and sheep to best suit the local vegetation. Eager to modernize the Plateau, the Chinese government has limited herd size, changed herd composition, and has imposed quotas for slaughter. This not only conflicts with the sustainable lives the nomads have led on the grasslands, but conflicts with the local cultural and religious beliefs of the Tibetan people. According to Environment and Development Department in the Central Tibetan Administration, China’s introduction of different policies over the years have not only disenfranchised and disadvantaged these pastoral nomads and the herders but also threatened the sustainability of this delicate environmental balance. During the commune system of the 1960s, in the name of “communistic reform”, the nomads were herded into communes, stripped of all possessions, reshaped into production brigades, and given rations according to their work points. From the outset, the new class of cadres in command saw the nomads not as environmental stewards but as ignorant, backward people lacking the enthusiasm for class warfare. The Grassland law was adopted in the year 1985 to protect the degrading grasslands and to modernize animal husbandry. Some researchers such as Dr. Emily Yeh, argues that this law has been implemented in order to gain more control over the pastures and to stop the over-exploitation of the grasslands, which the government appears to consider the most important cause for grassland degradation. Along with the implementation of the grassland law, the state authority gradually implemented the “Four-Way Program” ordering region-wide fencing regimes and shelters for nomads and livestock. This programme was meant to improve people’s lives, and control livestock and grazing. However, on ground, this program limits the mobility of the livestock by allowing them to overgraze only a small piece of land. Chinese scientists and administrators have blamed the nomads arguing that they were overstocking, beyond the carrying capacity of the pastures, and this was the cause of degradation. The failed Chinese policies could not be discussed. So in 2003, PRC government implemented the ‘Restore Grassland Policy’, moving herders from the grasslands to state–built housings. This program is being largely intensified and has now become the central measure in protecting these grasslands. Under policy, according to Dr. J Marc. Foggin from Arizona State University, the local Chinese government of Tibet Autonomous Region has moved a total of about 300,000 families, or 1 and half million Tibetan nomads and farmers into settlement homes. According to Chinese state news agency, another 190,000 families are expected to move into new homes by 2013. This new policy simply assumes the only way to conserve China’s upper watersheds is to remove animals and nomads. Yet China’s own scientists have now learned that the grasslands of Tibet when grazed moderately and intermittently the traditional way, actually maintains a higher biodiversity than on ungrazed pastures, where toxic weeds invade and biodiversity declines. They are now partnering with organizations like Rangeland Conservation to push forward conservation initiatives on the grassroots level. China is continuing its policy of resettlement to “save” the grasslands, but ungrazed grassland can be more susceptible to accelerated degradation. Research shows that responsible amount of grazing can actually slow or stop grassland degradation. By consistently “clipping” grassland vegetation, animals help grasses stay healthy. The relationship between nomad, livestock and grassland has been mutually beneficial for generations; however, misguided PRC policies may within matter of a few decades strip nomads from their livelihoods, gazing out over vast expanses of desert. This entry was posted in Developing world, Energy, Toxins, Uncategorized on October 14, 2011 by sth2114. It all began with one question. Do you know where oil comes from? Oil is the most valuable resource in the world. Almost everything we use or do can be traced back to it. Yet as much as oil is used every day, the American consumer remains detached from its origins. As a consumer myself, I have long to wonder where oil comes from. Wondering if I was alone in this matter, I headed to a BP gas station on 4353 on Broadway in Manhattan, to gauge just how much people know about what they’re pumping in their tank. I found that a majority of people did not have a clue. Oil is Color of my Skin intends to eliminate the detached relationship between the consumer, the demand for oil, and exploited areas where oil is extracted. In focusing on the environmental implications of the area, I want to bring a personal account to the people that it affects. Oil development is linked to specific areas that are often for reasons beyond high demand. Over the next few months, I will chronicle my journey in this column; entitled Oil is the color of my skin, in order to examine the affects of the increasing demand for oil on communities around the world. In my journey I will point out specific places that reveal oil development and its indubitable link between environmental exploitation, race, and class. I am going to take you from your local gas station to places that may be in your backyard or far beyond your reach, in order to trace oil back to its origins. Lets see how far I will go. We will start our journey in the small fishing village called Plaquemines Parish, Louisiana. For the African Americans, Vietnamese, and Cambodians who live there, oil is not found in a local BP gas station. Instead, it is found in nearby rivers, and marshes, which these communities depend on to fish. Besides that Louisiana already has a poverty rate that is 20 percent, higher than the national average. The region still has not recovered from Hurricane Katrina in 2005. This current oil spill has now impacted the livelihoods of fishermen, shrimpers, crab trappers and others who rely on the water for their businesses. Global crisis newspaper reported that due to the oil spill, the unemployment rate in Louisiana has risen from 0.2 to a staggering 7%. April 10, 2010 was the start of the BP oil spill in the Gulf of Mexico. This oil spill was the largest oil spill in American history. It occurred just 42 miles southeast of Venice, Louisiana, in 5,000 feet of water and 13,000 feet under the seabed. In its dispersal it had contaminated water and left detrimental affects on animal populations. Wetlands that supported an abundance of life were all destroyed. For fishing villages like the Plaquemines Parish, fishing grounds where ruined. Tony Hayward, who is BP’s CEO announcement to the public that “BP is taking full responsibly for cleaning up the Gulf” all becomes a blur. A year later the African American, Vietnamese, and Cambodian fishermen claim that this promise was never for filled. Fishing grounds have still not recovered and the future of their businesses remains uncertain. What happened to the compensation that was promised to these fishermen? According to the BP Louisiana Gulf compensation document, BP set aside $84 million dollars to “compensate for the loss of income or net profit due to the cleanup of the Deepwater Horizon Incident in the Gulf of Mexico.” The document even specifically highlights that about 14,000 individuals and businesses in Louisiana, Mississippi, Alabama and Florida have received an initial advance payment for loss of income or net profit to date. The National Association for the Advancement of Colored People (NAACP) and the fishermen of Plaquemines Parish report a different side to this BP document. In fact in further analysis of the BP’s so-called contract, it was found that only $53 million were awarded in contracts to clean up the oil spill and out of it only $2.2 million (4.8 percent) went to minority-owned businesses. Bert Battle a black oyster fisherman from Plaquemines Parish responded to BP’s claims that compensations were indeed paid. In his statement he said, “BP has treated me like sh—t,” “Every time I came with documents for my claims they kept asking me for more documents. Now they are telling me I won’t receive anything in the month of August until I show more documents.” These documents that Mr. Battle is referring to is proof that he is a boat owner, not deckhand, and has residency within the state of Louisiana. From this BP’s intentions are crystal clear. If you do not pass their verification test they are not going to pay for any damages. With that said most African American fishermen are self-employed fishermen and therefore they do not have all of the BP’s required documents, which means more money in BP’s pocket. Vietnamese and Cambodians were also declined any access to liability and BP jobs because; they lacked documents that proved residency and English speaking skills. A Vietnamese man angered by treatment of BP shouted at a BP representative who visited Plaquemines Parish after the oil spill, “We are normal people! We are not animals! Talk to us like we are human beings!” These Fishermen continue to wait for their lives to return back to normal and for BP to clean up its mess. Pumping gas at a local BP gas station does not end there. The demand for oil affects small fishing communities like this one and connects to global communities. Do you know where oil is coming from? Next, we’ll follow oil to Central American. The oil trail just continues. This entry was posted in Barnard College, Energy, Policy, Toxins on October 14, 2011 by Lindsay Garten. Is hydrofracking right for New York state? Hydrofracking is an invasive technique used to extract natural gas. This process involves millions of gallons of water mixed with chemicals, to create a fluid necessary in the hydrofracking process. This fluid is forced down a newly drilled hole in the rock formation called a well bore at a high pressure. This creates or expands fractures while simultaneously trapping gas. It is then necessary to extract the gas from the rock formation. To do this proppants are injected to prevent the fractures from closing. With the fracture securely opened, it is possible to harvest the gas from the rock formation into a form that can be used for energy. While environmentalists are generally opposed to hydrofracking, there are some rewards to the process. According to a New York Times article titled “Report Outlines Rewards and Risks of Upstate Natural Gas Drilling”, a report by the New York State Department of Environmental Conservation (DEC) stated that hydrofracking could create 37,000 jobs providing employment opportunities for numerous New Yorkers. This would lead to increased consumption from New York state businesses and would generate between $31 million to $185 million a year in added state income taxes. Additionally, each “fracking” uses one to two million gallons of water; this wastewater would then need to be treated. Currently, there are not enough treatment plants to handle this excess water. Without sufficient cleaning, this chemical infused water would flow into rivers, lakes, streams etc. Polluting the states water supplies would have obviously negative ramifications and is something to be avoided.